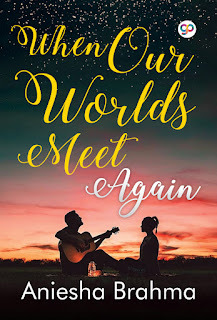 Two years after the events of 'When Our Worlds Collide', Zayn and Akriti are now leading extremely different lives. Akriti has come back from her stint at the business school and running her mother's café. Zayn has run into trouble in his PhD program and has come home for a break. While he thinks that things are just as he’d left them two years ago, that is far from the truth. 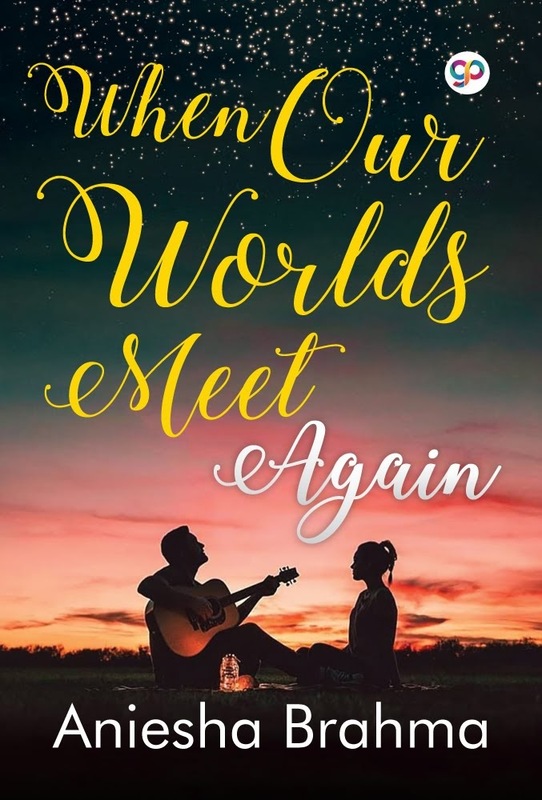 In a last ditch attempt to make Akriti remember the connection they had once shared, Zayn tries to recreate all their memories. But things are never the same when collided worlds meet again. Akriti was sitting at the cash counter of her mother’s little café going over the expenses for the day. Her headphones were plugged into her ears as she listened to songs on her phone. Her laptop was propelled open in front of her as she made notes on what else needed to be done the next day. In the two years that she had been gone, the café had not changed at all. Her mother had kept all the renovations that Akriti and her colleagues had done two years ago. The only difference was that now there was a bulletin board next to the chalkboard menu that had been installed just a few weeks ago. On the bulletin board hung a poster that announced that next week’s Poetry Slam would start at 6PM sharp, and Suzanna needed to be contacted for early registration. Akriti finished her work and shut down her laptop. She looked around the café in grim satisfaction and let out a happy little sigh. The music from her phone suddenly stopped playing. Glancing down she saw that her phone had started buzzing, flashing a number she had not seen on her phone in quite a while. Debating for a minute, she received the call. Airports have seen more sincere kisses than weddings it is said. As Zayn Banerjee waited to catch his flight back home, he witnessed one too many couples bidding each other teary eyed goodbyes. It was watching these strangers that he remembered how it had felt two years ago when he had left his home behind in pursuit of higher studies. How he had come to this alien land which had eventually led him to a lot of heartache and misery! But there had been something good about those two years. There had been someone who had seen past all his imperfections and focused only on the good that was in him. Who had been his friend against all odds and yet, they had fallen out of touch with each other over the course of two years. He wondered if she was still using the same number. He wondered if she still had his number saved. On an impulse, he pulled out his phone and dialed her number. She answered it on the third ring. He was pleased as punch that she remembered him. Then the line went dead. Zayn stared at the phone, wondering if their friendship was lost over the course of time. This wasn’t like the Akriti he remembered. This wasn’t his Akriti at all. Akriti hung up the phone feeling utterly drained. Once upon a time this was a source of her happiness but tonight he was a cause of her stress. The last thing she needed was for Zayn to come barging into her life once more. She remembered all the memories that they had made together two years ago. The time when she’d finally felt okay to let her guard down and just be herself. It seemed to her like it was a lifetime ago. But he’d left. Like everyone else in her life and she had found herself consumed by her loneliness. Going off to business school had only made Akriti revert back to her old self. That’s a lie they tell you, Akriti thought bitterly to herself, as she put her headphones back on and started listening to music again, time doesn’t heal a damn thing. It just burns the memories into your mind. 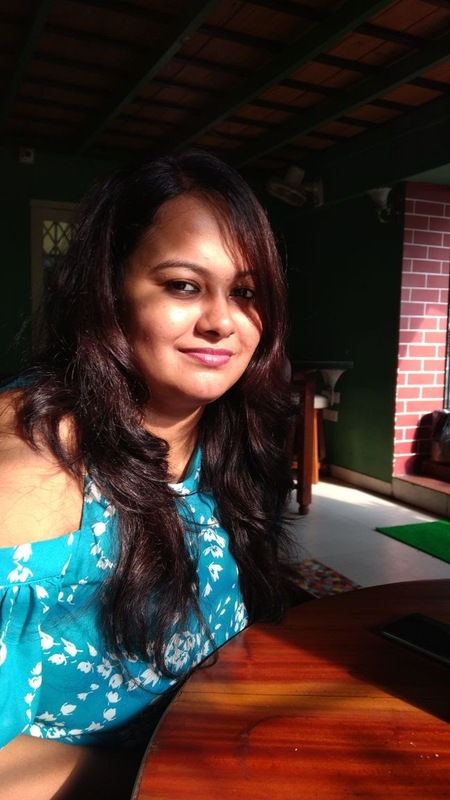 Aniesha Brahma knew she wanted to be a writer since she was six years old. She was schooled in Dolna Day School and went on to pursue B.A., M.A., and M.Phil in Comparative Literature from Jadavpur Univeristy. She currently lives in Kolkata, with her family and five pet cats. She is the author of All Signs Lead Back to You, When Our Worlds Collide, The Guitar Girl and The Secret Proposal. She compiled and edited the 10 volumes series, 'Children's Classic Stories' with love and great efforts.